If you are an algebra teacher who wants to teach quadratic functions, here are 3 quick tips you need to know. Algebra teachers hear me closely on this tip: as the teacher, we must connect new information to prior learning for every lesson. During the connecting activity, I find it useful to ask the students what vocabulary we can find in this example. I like to start a list: function, function notation, domain, range, evaluate, maximum, minimum, etc. As an algebra teacher, here's what I mean: as you help them recall this information, students will begin to see how all the mathematics is related and works together. This tip will help algebra teachers because students often feel like they are learning something new every hour of every day. This strategy will allow them the time to understand that this is only building on something they already understand. This will greatly reduce the overwhelm and shutdown in your classroom. To put this into action you should Download the free lesson plan and print or post the quick 10-minute activity and allow the students time to fill in the table and answer the questions. Then brainstorm the vocabulary needed for the lesson with your students. This is all about the fact that when students make connections on their own, they not only own their learning, they are able to retain it longer and recall it easier. I am a huge believer in this method and I have personally seen the effects it has on my classroom. For quadratics, I find it helpful to have them find the vertex with a formula and graphing and then I have my students tell me which is the better method. And when is it the better method? The most important thing to get understand this tip is when you put the problems on the board. I like to use a minimum of three. You can, as the teacher and guide, start asking questions to lead them in the right direction of understanding. This is critical to your success because as the students realize the similarities they are gaining a concrete understanding of what the numbers mean in real context, not just in an algorithm. Now the thing for you to do is to create a few problems where students can complete them in different ways and put them on the board. Create questions ahead of time to lead them along. The key idea with this tip is quadratics are everywhere. Pull out as many real-world examples as you can and help students identify which arcs are really quadratic and those that are not. If you would like a list of 101 uses of quadratics this site will help you out: https://plus.maths.org/content/101-uses-quadratic-equation. You need to understand this means students will begin connecting what they are learning to real-world solutions. This will help anyone because as students feel more connected to their learning they will take more ownership of their learning. My advice at this point is to find some examples near your school or town that students are familiar with and integrate them into your lessons. Once you understand the facts about teaching you can move forward with confidence - and going through these 3 tips is a great start for any algebra teacher! But as you can see, this really is just the tip of the iceberg. Don't forget to PIN this page for future reference! Katy is told that the cost of producing x DVDs is given by C(x)=1.25x+2500. She is then asked to find an equation for C(x)x, the average cost per DVD of producing x DVDs. Is Katy's answer correct? Explain. So I dig deeper into the meaning and I reread. I see how their example fits the standard, but I want to be able to see this and create it myself. I believe that all most teachers are in this same boat. We are immobilized by the unknown. For so long we have understood exactly what our kiddos need to do well. We know what the tests look like. We understand the standards. And now.... There is too much unknown. It is overwhelming. And so I begin breaking everything down. By Unit, by week, by standard, by assessment question.It gives me order and control and I feel a bit better. But I want to be careful not to forget the big picture of the Mathematical Practices. That is why I added them to my main unit pages. It is an instant reminder of the bigger picture. 1. Understand that a function from one set (called the domain) to another set (called the range) assigns to each element of the domain exactly one element of the range. If f is a function and x is an element of its domain, then f(x) denotes the output of f corresponding to the input x. The graph of f is the graph of the equation y = f(x). I have many at-risk students that find school very hard. My goal with this unit is to build confidence, and so I created this handout with the gradual release idea in mind. I created a clean looking workspace for my students to keep them from becoming overwhelmed. While making it repetitive will allow independent success. In my efforts to move every student ahead every day, I have found this to be a useful tool because I can give different difficulty problems for each student without recreating the practice page. Pin It! For easy reference. Enter your information below to get the Pi Day Handout in your inbox immediately. Your information will not be shared or sold. You are safe here! I celebrate the pi day at school and home every March 14, so imagine the fun I have put this day together. The following video begs the question, how many dominoes is that? Spoiler alert: the second (needed information) and third act (the answer) are at the end. This would be a great way to begin class. Is there any better day in the life of a math geek? Ok, that might be a little bit of an exaggeration, but it is a very fun day to be a math teacher. In my class, we always eat pie on pi day. The kids bring it in, and I supply the cups, juice and paper goods. We always have a great time discovering the ratio of pi and enjoying the wonder of the randomness. The students always seem to gather interest in the wonder of numbers. Isn't that what it is all about? The class is set up as stations with different activities depending on the mathematical level of my students. When they walk in, I am playing Pi Songs. They circulate through stations ranging from creating the music pie to measuring and finding the common ratio of pi, to pinning the tongue on Einstein. Don't forget that he shares his birthday with pi! And of course, the end of class has a memorization of the pi contest. I always want to try something new with pi day and therefore have made necklaces by assigning each digit a different color bead, found our birthdays within pi and we have sung pi day songs. The next day, when the sugar buzz has worn off we discuss what we discovered and observed, the kids always amaze me at how much they take away from a day that would look like nothing more than high school kids at recess. I hope they have great memories of Pi day and a deeper understanding of pi. Happy Pi Day Lesson by YummyMath! Youtube.com there are some great projects done by students, perhaps have your students do the same. Do you have a favorite π day activity that you do with your students? Please add it to the comments below! Thanks! To type the π symbol, you can use your number pad on your keyboard. Hold down the alt key and type 227 on your number pad. Let go, and you have a pi symbol. Amazing. For more helpful tips on inserting math and science symbols into your documents, you can see my list here. With a discovery activity, a Pi Day poem, a printable memorization sheet, and others, you will be ready for π Day! No worries! We will never share your information with anyone. Where to begin teaching functions to Algebra 1 students? I love the idea of teaching functions at the beginning of Algebra 1 and weaving them into the curriculum to cement the concept into the minds of my students. There are functions everywhere. And if we can teach kids to see them, it will go a long way to connect them to the math. 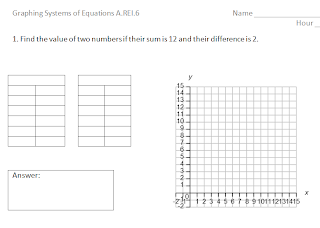 It is the perfect way to begin the year, connecting Algebra to their middle school years. As I have begun the idea of creating a plan for next year, I have started with the scope and sequence created by the Mathematics Common Core Toolbox. And now I am searching for the best lesson plans I can find that will engage and develop an understanding of functions. Some great sites go beyond the repeated questions and algorithms and help students relate math to the real world. This will truly force understanding about what they are doing with the mathematics. I am looking forward to a great year. 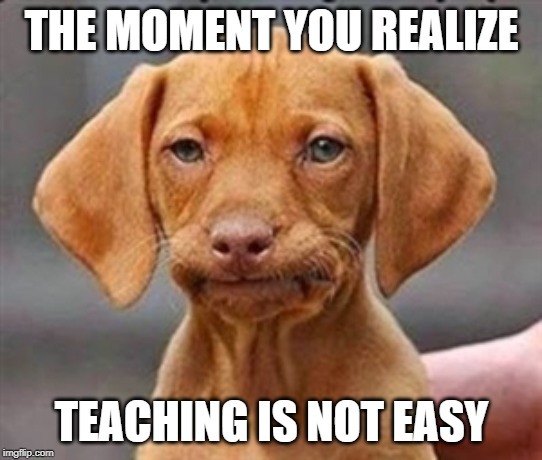 And the more I prepare and take the great ideas I find and organize them as I find them, the less likely I am going to be regretting finding that awesome lesson a week after I have taught it. I want to force my students to work harder than I do. I want them doing the work, processing, and thinking!